Where did our ancestor, Olivier Daigre, live? Olivier Daigre, born in France in 1643, came to Nova Scotia where he and his descendants lived a good life in the Grand Pre area for 3 generations. 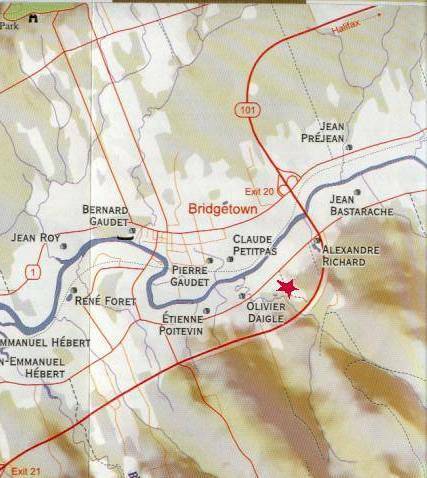 Below is a map showing the approximate location of Olivier's land in Nova Scotia. It is believed to originally have been approximately 2,000 acres across the river from what is now known as Bridgetown, N.S. No wonder our Acadian ancestors hated to leave their homeland. 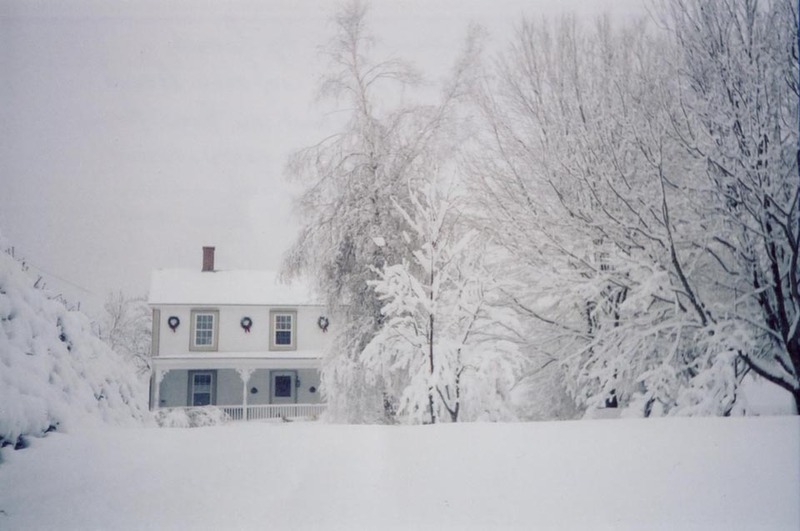 Below is a present day photo of the house, owned by Mark Robertson and Marie-Josée Rosconi which is located on the land originally owned by Olivier Daigre. What a winter wonderland. Mark and I would like to wish all the Daigles a joyful holiday among family and friends. Health and peace for the year to come. We would like to thank the Association for their generosity. We certainly did not expect an honorarium for your visit this past summer. Mark used the money to finish the den which now offers a beautiful view of Olivier's land towards the Annapolis River. Thank you again. The door will always be open to all of you.